JeruLux offers engineering services for the design and rapid prototyping of electro-optical systems. It is managed by Elie Meimoun, a physics engineer (M.Sc.) with over 15 years of proven experience in electro-optical architecture and design. The areas of expertise include a comprehensive understanding of electro-mechanooptical systems, including its requirements and constraints, from the light source to the sensor. JeruLux is well known for its inventive thinking and creative solutions, this is also one of the reasons why they are keen to work printed optics. 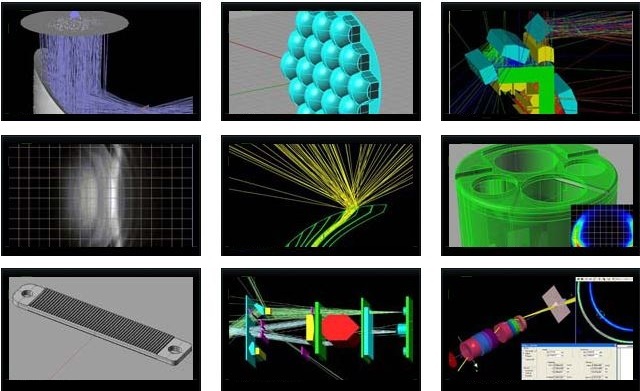 In addition, complex 3D non-sequential simulations, deep-going analysis, optimization and tolerancing concerning optical plastics components, high-brightness and custom Chip-on-Board LEDs. Some references of Elies’ work. The services of JeruLux contain in a nutshell conceptual design, adapted to its users’ application requirements, as well as full electro-optical design, from the system level down to the component level. The approach goes beyond design only, into turnkey design and integration of prototype assemblies. This includes the design, prototyping and assembly of custom optics, electro-optics and mechanics. In addition, optimization services are offered for 3D CAD components, that may or may not include straylight analysis. All at the high speed we are used to at Luximprint, with fast responses and great flexibility!